In addition to three new smartphones announced at IFA 2017, Sony is also showing off an intelligent noise-canceling headphone and two intelligent noise canceling earbuds. 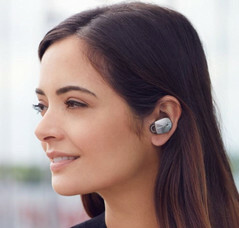 All three products can automatically enable and disable noise cancellation depending on the actions of the wearer. At Sony's IFA presentation yesterday, they announced a range of products which included the XZ1, XZ1 Compact, and XA1 Plus smartphones. However, Sony Audio also had some other exciting products to showcase. Sony showed off a trio of new noise canceling headphones. The first is an over-ear cup with traditional headband design (WH-1000XM2), the second is a behind-the-neck earbud setup (WI-1000X), and the third is a truly wireless design (WF-1000X) in the same style as the Apple earbuds. 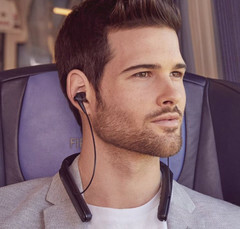 All three feature Sony's noise cancellation technology, which they claim is industry-leading for wireless Bluetooth headphones. The most interesting feature is their "Adaptive Sound Control," which is a Sony proprietary technology designed to recognize a user's actions and automatically enable or disable the noise cancellation to suit the situation. Because noise canceling is also dependent on air pressure, the headphones will adjust when in a pressurized plane cabin. 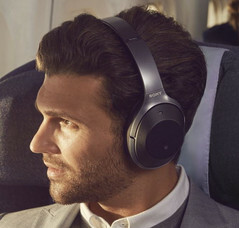 Sony gave an example where the user was at an airport and when they were sitting down in the terminal the noise cancellation would be enabled. When they got up to walk to the flight, it would disable the noise cancellation so they could hear any announcements about gate changes [or hear oncoming traffic if they were crossing the road in town - NBC]. Once they were sitting on the plane, the headphones would switch the noise cancellation back on to cut out engine noise. All this is automatically happening as the headphone or ear buds detect the actions of the user. 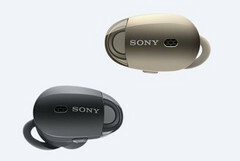 These intelligent noise cancelling headphones are available on Sony's website, with color options to match the new Xperia phones and Walkman products. MSRP for the WH-1000XM2 is US$350, the WI-1000X is US$300, and the WF-1000X is US$200.